Founded in the year 2002, at Coimbatore, (Tamil Nadu, India), we “PAARAS PLASTIC INDUSTRIES”, are a Proprietorship Firm, indulged in manufacturing, retailing, trading and wholesaling a premium quality range ofTop Hanger, Bottom Hanger, etc. Our company, PAARAS PLASTIC industries has its manufacturing unit in Coimbatore and Chennai. 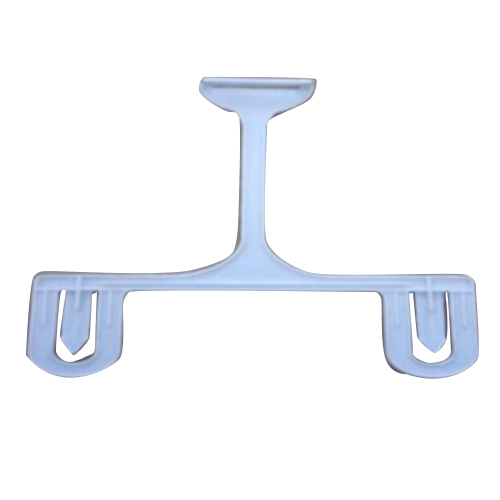 We have about 450 varieties of mold designs, giving them a wide range of Plastic Hangers and Plastic Accessories, which are used extensively by Garment Export houses and also at Commercial Places. Our manufacturing capacity is of around 40,000 pieces per day for various designs and we supply our hanger to almost all leading exporters in the region. Today we are known for our high quality standards in the market. We have approved grade of Master Batches, Metal Clips and Hooks, which are all of International standards. With the help of our Automated Printing Machine, we can customise any corporate logo design, of any color, given to us by our clients, through which we promote their brand on our hangers. To ensure the smooth production of our products we have different sections in our Infrastructure, like the Manufacturing section, Printing section, Sorting and Packaging section, which enables us to produce a quality assortment of plastic products. In addition we also provide quality packaging of our products for safe transit. Appreciating the trust of our customers, we aspire to become one of the strongest brands in the Hanger manufacturing industry, while opening new horizons of inno vative designs and concepts. Walking steadily towards excellence, we stand on strong pillars of integrity, Passion for Fineness, Reliability and Adaptability.